Easily create fantastic pictures with amazing airbrush effects! The Blo Pens Desk Display includes 8 Blo pens with a handy desk stand. Also included in a bonus stencil to get you started. Just put the stencil on a sheet of paper, blow through the pen and see your picture appear! 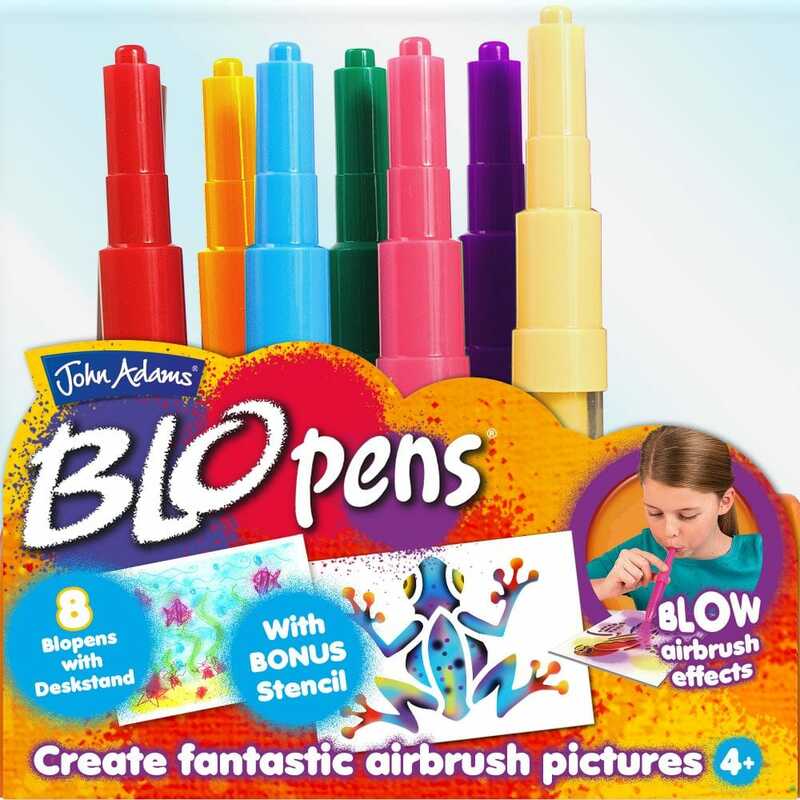 Blo pens caps are washable and interchangeable. They are completely safe for children to use, with non-toxic ink.